1. White tablecloth. I think everyone should have at least one white tablecloth. I have a linen one (old from ikea) that I love and use again and again. Here's one for $12. 2. Greens and/or flowers. Trader Joes is your best friend if you have one near you, they have beautiful/cheap options. If you are on a tight budget, I would opt for greens over flowers......they make such a big impact, and you can use them in the place settings (like the picture above), as a centerpiece, or even draped around a chandelier/lighting. Most florists (even grocery florists) have them on hand even if they aren't displayed- just ask! 3. Something shiny. I prefer gold or brass candlesticks, but this could be vases, napkin rings, or chargers. Thrift stores or flea markets are a great place to find unique items for less, but etsy is also a great option. These are pretty. This past Christmas, I even spray painted a glass bottle gold- just get creative! 4. Versatile glasses. I personally think that stemless wineglasses are perfect. You can use them for wine or not, and they are simple enough for everyday use. 5. Cloth napkins. Ok, these can get pricey-but they don't have to! This is a cheap option, and I have these and use them often. 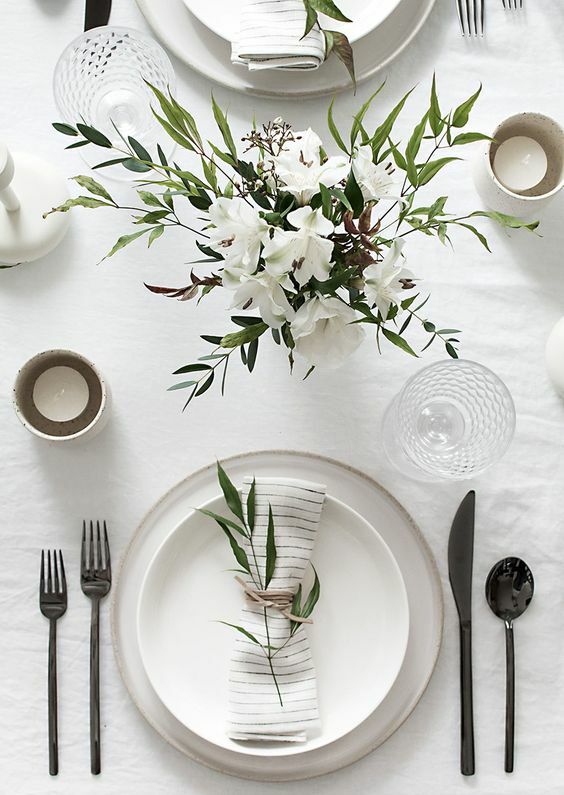 If you are using a white tablecloth, different colored napkins are a good idea. I used my Ikea dishtowels for Thanksgiving this past year and they looked pretty. 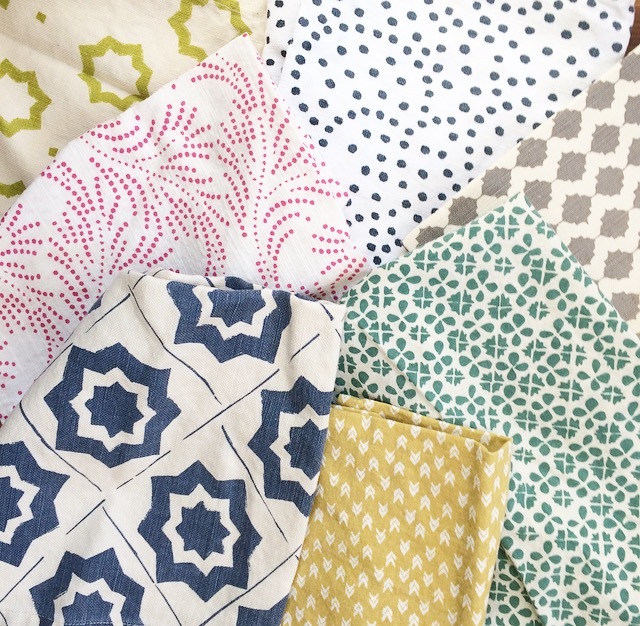 H&M Home has a great selection of table linens at an affordable price. Another idea for napkins, is to mix and match and accumulate a collection over time (see my collection below). Napkins can be styled a number of different ways- rolled up on the plate with a pretty ribbon or ring, folded under the plate, folded next to the plate, or made into a pretty shape on top of the plate. If it's stressing you out- choose something simple. * I have white dishes and I do think their simplicity makes it easy to play around with many different tablescapes, but they aren't a necessity.